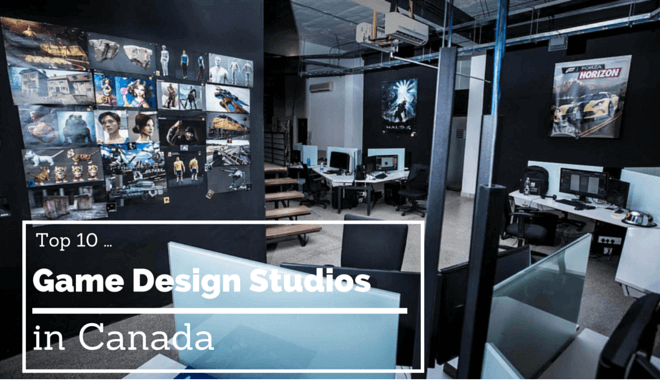 If you’re familiar with game design, you know there are great design studios all over the world. If you’re an American that enjoys playing games, it’s easy to forget that not every game is made in the United States! Further north is a beautiful place known as Canada. Within Canada are some brilliant, talented people that work as game developers and game designers. Who would have thought? This list looks at ten cool game design studios that can be found north of the of northern U.S. border. Sarbakan is a company that was founded in 1998. In its early years, the company focused almost exclusively on web-based games, creating over 600 games by 2008. The company is 85 people strong and based out of Quebec City, Canada. In the later 2000’s, Sarbakan started creating games for Xbox Live Arcade, like Lazy Raiders (2010). They also generated Nintendo DS titles Like Johnny Test (2011). In 2012 they partnered with Disney and created “Where’s my Water” for the mobile platforms. It was a game that went on to win multiple awards, and it’s fun! Relic Entertainment started back in 1997. In 2004 it was purchased by THQ, and then in 2013 it was sold to Sega. Relic Entertainment’s forte has been Real Time Strategy Games. They released Homeworld in 1999, which was a big success in the RTS genre. They are also responsible for many of the Warhammer 40,000 games, as well as the Company of Heroes games. They are based out of Vancouver, British Columbia. Their company size is somewhere between 51 and 200 employees. Radical Entertainment is another Canadian game design studio based out of Vancouver, British Columbia. Sierra Entertainment acquired them in 2005, and then Activision acquired them in 2008. They were responsible for The Crash Bandicoot series, and they also developed the Prototype series. Unfortunately, after the Prototype 2 launch didn’t find the hoped-for success in 2012 (despite being pretty well received, sales just weren’t high enough), Activision drastically reduced the size of Radical Entertainment. It’s no longer developing its own games, but serving as a support team for other Activision projects. Even with its fall from glory, as the oldest Vancouver-based game design studio ( it was founded in 1991) it warrants a spot on the list. Next Level Games is a third Vancouver-based game developer. They are 70 employees deep and have done very well for themselves since their start in 2002. Their work with Nintendo is what originally put them on the map for most gamers. They were responsible for releasing titles like Mario Strikers and Punch-Out! for the Wii. Next Level Games also developed Luigi’s Mansion: Dark Moon for the 3DS, which was very well received. They have a game slated for an August release on the 3DS, Metroid Prime Federation Force. It will be interesting to see what happens, because so far fans have been reacting very negatively to the trailers and press surrounding the game. Even with a potential Metroid Prime blunder, they deserve a spot on the list! Hothead Games is yet another game developer based out of the Canadian game design hotbed known as Vancouver. This developer is home to about 120 employees. In 2009 they were responsible for porting the acclaimed game Braid to PS3 and Mac (anyone still listening to that soundtrack?). On the Rain-Slick Precipice of Darkness might be their most well-known creation. It is an episodic role-playing/adventure game series. It was based off of a webcomic called Penny Arcade. Most recently they’ve released titles like BIG WIN NHL and Boom Boom Soccer for mobile download. Hothead has only been kicking around since 2006, making it the youngest game studio to make the list. The year 2000 saw the birth of HB Studios. A man named Jeremy Wellard founded HB Studios in Lunenburg, Nova Scotia. With just nine employees to start, HB Studios cranked out Cricket 2002 for the Asia Pacific EA Studio. Four years after the founding, HB Studios entered into an agreement with EA Canada to continue developing not only cricket games, but rugby games as well. In March of 2016, they announced their impending physics-driven snowboarding game, which will let you design your own mountain parks and even entire mountain ranges. The game is called Infinite Air. Big Blue Bubble is the independent mobile game-developing giant behind the hit game My Singing Monsters. They are based out of London, Ontario, and have an employee force falling somewhere between 51 and 200 people. They started in 2004 and have grown to become the largest independent mobile game developing company in all of Canada. Big Blue Bubble is also responsible for 24: The Mobile Game (among other titles) which was very well received. Beenox is a game design studio with over 330 people. This is another company under the parent company of Activision (as of 2005). Their claim to fame is really in the realm of porting games for other systems. In the early 2000’s they were porting games like those in the Tony Hawk franchise to PC and Mac. More recently, they brought Black Ops III to Xbox 360 and PS3. One of the games they developed themselves is Bee Movie Game based on Bee Movie, the film from Dreamworks Studios. Clearly there is a bee fascination somewhere in that studio. Beenox is based out of Quebec City. Weighing in at 375 employees, Behaviour Interactive is one of the biggest game design studios on the list. This studio calls Montreal, Quebec home. Behaviour Interactive has had quite the name-change journey since its founding in 1992. At its inception, it had the name Megatoon Entertainment Group, which was sold in 1996 to Malofilm Communications, who changed the name to Behaviour Interactive. It was reacquired by the original founder in 1999, who was forced to change the name and decided on Artificial Mind and Movement, Inc. Which they (quite questionably) abbreviated to A2M. In 2010 they changed back to Behaviour Interactive, and that’s where they are today. In recent years they created Fallout Shelter, a mobile game based on the Fallout franchise that lets you run your own vault, acting as Overseer. They are also developing a Warhammer 40,000 game. Their installment is Warhammer 40,000: Eternal Crusade, which has an initial release date of sometime/2016. If you thought Behavior Interactive was big, you should see Bioware! These guys employ 800 people! Based in Edmonton, Alberta, Bioware is a powerhouse RPG developer. Their original IP content includes games like: Mass Effect, Jade Empire, and Dragon Age. They can also crush it with licensed franchises: Star Wars: Knights of the Old Republic, Neverwinter Nights, and Baldur’s Gate. As you probably know, Bioware is actually owned by Electronic Arts. Founded in 1995, it had ten years of independence before entering into a partnership, and the partnership was purchased two years later by EA. All that wheeling and dealing doesn’t seem to have slowed them down, as they’ve continued to put out great RPG games.